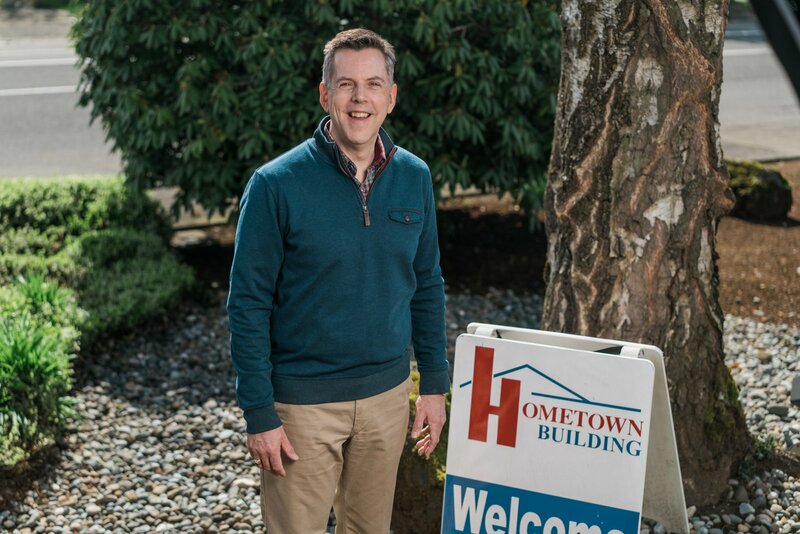 Andrew Barkis and his team are looking forward to getting to know the Yelm community better. Andrew Barkis has had his eye on Yelm for a long time. In fact, his Hometown Property Management business has had clients in the surrounding area for the past ten years. 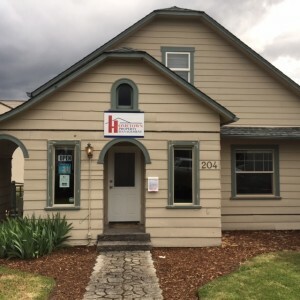 Although they were able to provide service through their main office, his team started exploring the possibility of opening a Yelm office in 2008. Then – you guessed it – the economy tanked. “We looked at everything and decided to hold on,” says Barkis. After biding their time for several years, on April 1, 2016 Barkis held a soft opening for a new office centrally located in downtown Yelm. The move is the result of multiple factors coming together and the sound of opportunity knocking. Under the leadership of Andrew Barkis, Hometown Property Management now oversees nearly 1,200 properties throughout the region. Thurston County is often referred to as the fastest growing county in Washington State, with a faster growth rate at 5.4% than the state average of 5%. Yelm is acknowledged as the fastest growing city within the county for the past twenty years, with a 108% growth rate between 2000 and 2010. Despite such growth, the Hometown Property team was able to find an ideal spot for their new office. In November they discovered a building for sale right next to Yelm Prairie Lanes bowling alley, close to the center of town. “We were really fortunate,” says Barkis. “It’s the perfect location for us.” The office is staffed by Senior Property Manager Lori Delong and Assistant Property Manager Rhianna Anderson. The new Hometown Property Management office is centrally located in downtown Yelm and serves the outlying area. He took the opportunity and was headed for a military career when he was sidelined by a knee injury. When the apartment building’s owner offered him a chance for an entry level job with his property management company, he took it. “They call it ‘managing apartment buildings’ but it was more like cleaning, painting, plunging toilets. I started at the bottom,” he says. Later he moved to Spokane and managed multi-family and commercial buildings before returning to the South Sound twenty years ago. 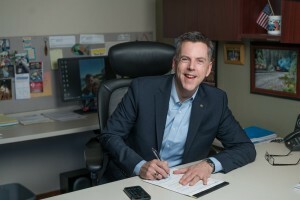 He’s co-owned Hometown Property Management since 2005 and is currently a state representative for the 2nd legislative district. “We’re getting more tuned into the Yelm area and the outlying communities,” he continues. “It’s important to let people know about our systems and services. To find out more about the services Hometown offers call 360-456-7368 or visit their website.